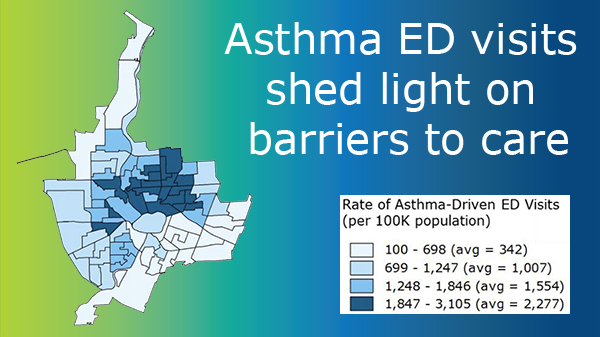 An analysis of the alarmingly high rate of asthma driven emergency department visits in several Rochester neighborhoods provides a window for understanding what is keeping residents from getting the preventive care they need. The Common Ground Health white paper also includes results from 260 first person interviews about the challenges residents face when accessing care. Details and the full paper are here. Read WXXI coverage here. Last year, 11 pedestrians and one bicyclist were killed on Rochester’s streets. Research shows that many city parents don’t feel safe sending their kids to play at parks or walk to school due in part to speeding traffic. To bring home the health and safety costs of speeding, advocates brought 11 pairs of shoes and one bike helmet to Rochester's City Council Oct. 17. They called for lowering the residential speed limit, an approach to saving lives and encouraging healthy walking and biking that has proven effective in other cities. Join the campaign by emailing City Council. Thumbs up to Yates County Public Health and Penn Yan Community Health for providing hypertensive patients with a blood pressure cuff and training on self-management of the chronic condition. The program is made possible by a grant from the New York State Department of Health, which received funding from the Association of State and Territorial Health Officers and the Million Hearts Initiative. Providers: do you know which patients are most likely to wind up in the hospital and which ones just need preventive care to stay healthy? Join our free 45-minute Risk Stratification webinar Oct. 31 to learn how to gauge patients' risk for poor health outcomes. Participants will learn to assign a level of care and evidence-based interventions based on lifestyle, medical history and health indicators. Register here. 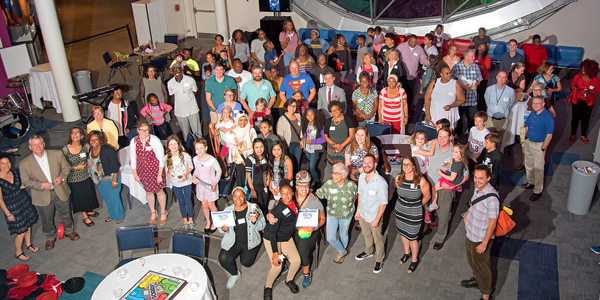 Playful gathering: Community members and Common Ground Health staff gathered Sept. 27 at the Strong National Museum of Play to celebrate two years of PlayROCs making Rochester's neighborhoods safer and more accessible for kids to walk, bike and play. At the event, PlayROCs Champions were honored with awards; read about the winners and view a photo gallery here. Our partner Nancy “Nana” M. Bennett, director of the Center for Community Health at the University of Rochester, was profiled by 55 Plus magazine. “Working with the community gives me a tremendous amount of joy,” she said. Read the cover story here. Our former executive director, Fran Weisberg, who will step down as president and CEO of United Way of Greater Rochester, was profiled in the Rochester Business Journal. Read it here.